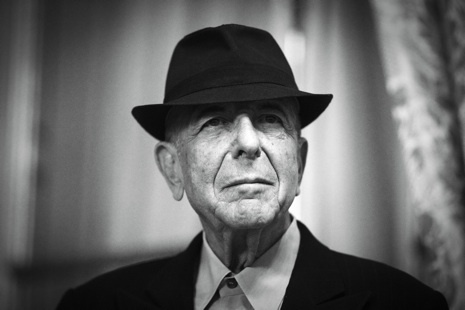 Leonard Cohen was a poet who happened to perform his words via song, a sort of suit-and-tie version of Bob Dylan. Cohen’s work is dark, yearning, contradictory prose that I found fascinating from the first listen. He counted among his seemingly disparate fans Frank Sinatra, Bob Dylan, Keith Richards, and Slash. He passed away yesterday at the age of 82 after years of near-constant touring. While his opus Hallelujah is most known by the casual listener, it is his poem/song Going Home that never fails to make me give off my own thin smile of knowing. Here he is four years ago singing Going Home to an appreciative audience of Irish who have long delighted in such clever confliction.